AMITW volunteer Annie Camp, left, releases three hatchlings Aug. 29, as young “firefighter”Ryman Bass, 1, of Kansas City, Missouri, observes near 33rd Street in Holmes Beach. A group gathers Aug. 29 to watch AMITW volunteers Mary Lechleidner, left, and Barb Riskay excavate a nest near 33rd Street in Holmes Beach. 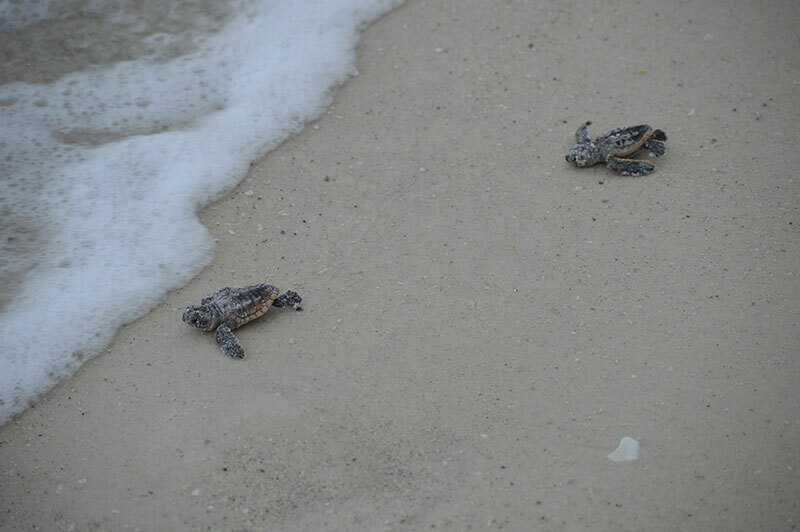 Two hatchlings crawl on the beach Aug. 29 to the Gulf of Mexico on being released near 33rd Street in Holmes Beach. The hatchlings were found in a nest that was excavated for data collection by turtle watch volunteers. 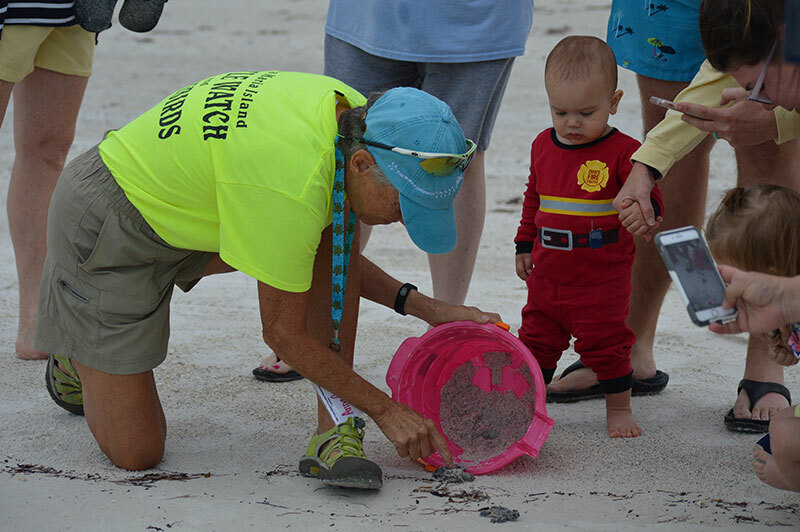 Just-hatched sea turtles are leaving their nests almost daily on Anna Maria Island. Seeing the tiny hatchlings make their way into the world is the reward for a season of labor by volunteers. And you can take part. 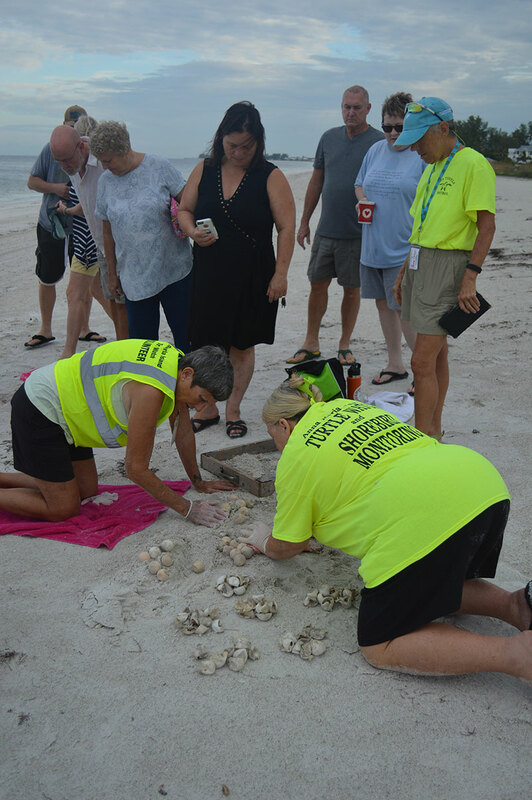 Anna Maria Island Turtle Watch and Shorebird Monitoring volunteers are collecting data from the record-breaking number of hatched loggerhead nests on the island. 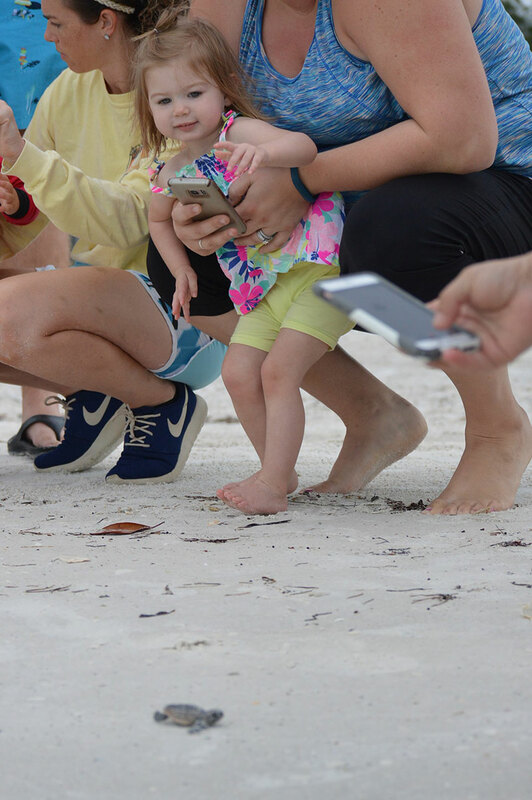 As of Sept. 2, AMITW reported 340 hatched nests of 530 on Anna Maria Island in 2018, with about 27,341 hatchlings making their way to the Gulf of Mexico, a new record for hatchlings on the island. According to the Florida Fish and Wildlife Conservation Commission, when a nest is determined hatched, AMITW volunteers wait 72 hours, then excavate or dig into the nest to determine how many eggs hatched, didn’t hatch, or if there are dead or live hatchlings remaining in the nest. The nest data is shared with the FWC and Manatee County. Turtle watch then ensures the remaining live hatchlings make their way to the Gulf. Excavations usually take place just after sunrise, when the risk of dehydration or predation is lower for any hatchlings that may be discovered in the nest. The public is invited to observe nest excavations and talk with the volunteers about their work with sea turtles. Anna Dominic of Newfoundland, a province in Canada, saw a loggerhead nesting at sunset in 2017 on her first visit to the island. She’s been curious ever since. Dominic has attended excavations each day since Aug. 19, the date she arrived on AMI. 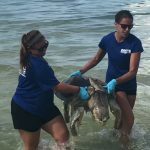 Cassie Bass of Kansas City, Missouri, said Aug. 29 she had been talking with turtle watch volunteers on the beach in the mornings and learning about nesting season on her first trip to the island. Fox suggested people visit AMITW on Facebook for information on future excavations. The red tide outbreak in August led to quiet beaches, but that does not mean rules that prohibit dogs are relaxed. According to Suzi Fox, Anna Maria Island Turtle Watch and Shorebird Monitoring executive director, evidence that three nests were dug into the week of Aug. 20 appeared to be from three different dogs, based on tracks. 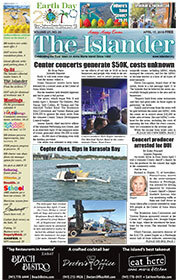 Two predations occurred in Holmes Beach and one was in Bradenton Beach. 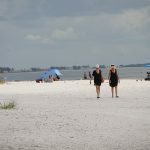 According to regulations in Anna Maria, Bradenton Beach and Holmes Beach, dogs are not permitted on Anna Maria Island beaches. 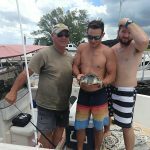 Fox said Aug. 30 that she had not seen this happen before in more than 30 years with turtle watch.